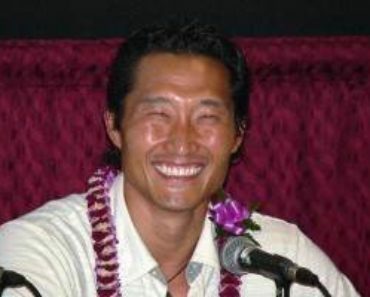 It’s not even Valentine’s Day yet, and there’s a whole lot of love on Hawaii Five-0. This kind of love is more about Ohana, and how not even death can break that love. Carol Burnett makes one final guest appearance as Steve’s Aunt Deb to drive home this point. Deb returns to Oahu to spread her husband Leonard’s ashes after he succumbs to his battle with cancer. In his memory Deb decides to continue to tick off items on their joint bucket list. Oh that Danny could see Deb driving Steve’s truck! I can practically see Danny’s ear-to-ear grin. Deb only confides in her old friend Nicky that she’s come home for her final days. She takes the time to get her affairs in order and have some fun with Mary and little Joannie before the end. Chin and Abby are also living life to the fullest, as they wake up together after a wild night. I’m looking forward to seeing where this goes, they have amazing chemistry. While Steve and Mary are unaware of what’s happening to Deb, Five-0 is tasked with solving the shooting of a young boy on a group trip to one of the neighboring islands. It was a nice idea to take the kids back into nature away from the electronics and city life, at least until the gunshots started. While searching the island Grover and Kono find a WWII bunker used as a safe house by the Japanese, complete with a decayed corpse. Based on the evidence found at the crime scene Jerry figures out that the shooter was at the bunker to steal dozens of bombs leftover from a secret Japanese WWII military project that never got off the ground. So now the team has to worry about highly unstable explosives roaming around the island. Given how old the bombs are, it would be hard to track them from a material standpoint, so they work from the corpse. The deceased is a Japanese soldier declared dead in battle. Steve theorizes that his superiors faked his death so that he could be a spy. An old contact confirms this, but the Japanese themselves had no idea what happened to him. The good news is they are able to recover and neutralize the bombs. The bad news is Jerry figures out that there were three Japanese spies involved in the bombing plot, not one. The last surviving spy killed one of his partners then remained on the island for the next 75 years to live in peace. His recent death leads the team to believe his next of kin, particularly his grandson, was trying to get rid of any evidence of the past misdeeds. This wasn’t a case of cold-blooded murder, it was an accident; which is why the grandson turns himself in for the shooting, explaining that he only wanted to protect his grandfather’s memory. Once the case is closed Steve is looking forward to some quality family time. He goes to wake Deb for breakfast, and arrives just in time for her to give him one final wave goodbye. The last item on Deb’s bucket list: climb to the top of a really tall mountain. Steve, Mary, and Joannie grant Aunt Deb her final wish in death. 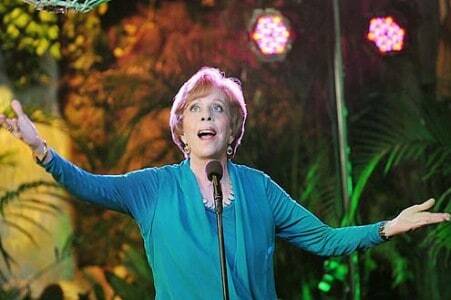 Who else is sad to see the fabulous Carol Burnett’s Deb leave us? Carol Burnett makes one final return to Oahu as Deb McGarrett to say Aloha to her family in a great episode Hawaii Five-0. Comic-Con 2010 Panel & Interview Schedule: Submit Your Fan Questions! Sad to see this character killed off.